We take immense pride in our gardens here at Seaview, they provide a beautiful escape for our guests to relax in and a stunning array of flowers for our tables. Head gardener Jules has been tending the grounds for many years and the garden’s have never looked so beautiful. 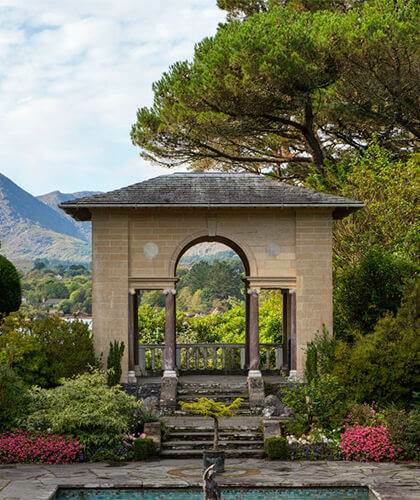 West Cork, well known for it’s rugged beauty is also home to many beautiful gardens that make the most of the mild climate, kept temperate by the Atlantic Golf Stream than runs up the West Coast of Ireland. The garden is a stunning riot of colour through from early May when our beautiful selection of Spring Flowering shrubs begins to bloom; Azalea’s, Rhododendrons, Magnolias and Camellias to name but a few, later follow Cornus, Japanese Maples and viburnum and a gorgeous selection of Hydrangeas. 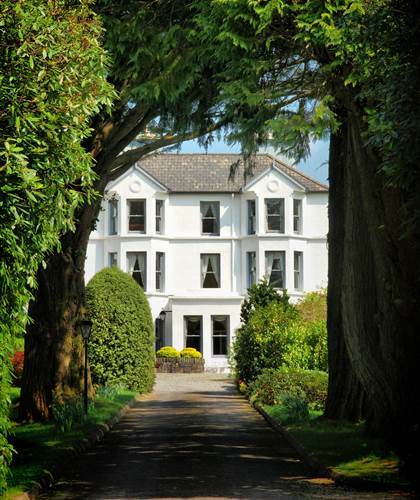 With an assortment of private nooks and crannies situated around the grounds for a spot of rest and relaxion, and magnificent Cedar trees over 200 years old to take shade in, it really is the most Tranquil escape offering something for everyone.